The history of mankind has to a large extent been determined by the history of warfare and the constant battle to gain a technological edge over the enemy. Offensive weapons spur the innovation of better defensive weapons that in turn spur the innovation of better offensive weapons and so on. However, the real game changing military technologies typically last for decades or even centuries before they are made redundant by a superior technology. Sword and arrow were negated with shield and armor. Shield and armor were negated with rifle and cannon. Rifle and cannon were negated with trenches and machine guns. Trenches and machine gun nests were negated with tanks and aircraft. And most recently since World War 2, tanks and aircraft have been negated by the emergence of guided missiles and UAV. Over the centuries, it has been a see-sawing battle between offensive and defensive technologies. The balance of power is now firmly on the offensive side of war with unmanned remotely-controlled weapons that are capable of wreaking so much destruction across the globe. So what will be the next military game-changer that renders these deadly offensive weapons obsolete? With the 4th generation of MANPADS technologies having a range of up to 20,000 feet, these missiles are still only primarily a threat to low-flying aircraft like helicopters and any aircraft during take-off and landing. However, 5th and 6th generation MANPADS currently in development are expected to have a vertical range up to 30,000 or 40,000 feet which is above the cruising altitude of most commercial airliners. When this happens, things are going to get very real for all commercial airlines and civilian air travelers. No longer will airliners be able to avoid the threat of MANPADS by cruising at maximum altitude and ensuring safe locations for take-off and landing. They will be forced to avoid flying over any region that is remotely unstable. In today’s current geopolitical climate, this will dramatically limit air travel throughout Africa and the Middle East and eliminate most direct routes between Asia and Europe. The rise of the guided missile has also spurred the development of missile countermeasure technologies like laser jamming and stealth designs that defend against missile attack by either blinding the missile or hiding from it. However, these “passive” countermeasure technologies are very expensive and usually are superseded by the next generation of missiles equipped with counter-countermeasure technologies. The pilots dogfighting skills are still heavily relied upon to avoid any incoming missile attack. Consequently, passive missile countermeasure technologies are not used for large commercial aircraft and are not the game-changing technology that the aerospace industry desperately needs. 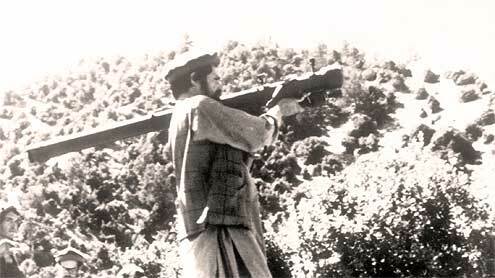 UAV were initially developed as a defense against guided missiles but are now armed with their own missiles and have evolved into a major offensive threat. 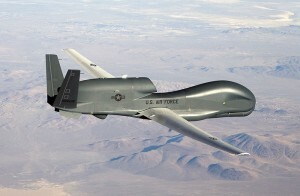 Unmanned Aerial Vehicles or UAV’s have also been developed as a defense against MANPADS and the larger Surface to Air Missile launchers (SAM’s). Even with 5th or 6th Generation guided missiles high altitude reconnaissance will still be possible with zero risk to the pilot who sits at a remote site thousands of miles away. However UAV’s are also evolving into offensive weapons being equipped with guided missile weapons of their own. The guided missile is still the world’s dominant offensive technology, and there is still no fully effective defense against them. The world now desperately needs the next defensive game-changer before the next devastating generation of guided missiles emerges. Directed Energy Weapons hold the promise to be that next military game changer. Most notable are Photonic Weapons based on lasers that can be used as “active” countermeasures to missile threats that destroy or neutralize the incoming missile. Ultra high power lasers can very accurately and precisely vaporize missile targets at long ranges up to several hundreds of miles. These laser weapon technologies have been in development for several decades, but the technical problems of size and cost versus power have slowed their emergence into practical applications. The megawatts of optical laser power needed to vaporize fast moving supersonic missiles means having a very large laser platform that may require gigawatts of electrical power or huge amounts of chemical fuel. This means that most Directed Energy Weapons are very large, heavy and expensive platforms that may be suitable for some land and sea based applications but are not suitable for airborne applications. As an example, the US Air Force recently mothballed its Boeing YAL-1 Airborne Laser Platform because of these very issues of size and cost limiting is practicality. 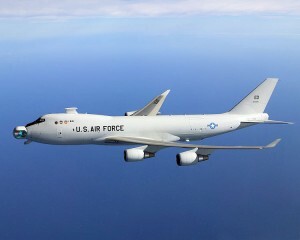 The YAL-1 aircraft is a Boeing 747 airliner stripped out and fitted with a single high power laser and a power source. Hundreds of kilowatts of output power could be accurately directed to a missile target several tens of miles away through a missile turret in the plane’s nose. However, the massive laser platform was considered underpowered for its primary goal of destroying intercontinental ballistic missiles at ranges of hundreds of kilometers and it was absurdly expensive at nearly $2 billion per plane. Even though solid-state and ceramic laser materials offer the potential for dramatic reductions in size and cost, laser vaporizing weapons will be primarily concerned with land or sea based applications. However, a revolutionary new Directed Energy Weapons technology that has potential to become the next game changer is laser-powered EMP technology being developed at R&D start-up Lightning Gun. The Laser-powered EMP or LEMP concept uses a much smaller sub-kilowatt laser beam focused tightly in the air to create a ball of plasma close to the missile target (say within a few meters). This plasma or “miniature ball of lightning” emits a localized but intense EMP pulse that destroys the delicate electronics and integrated circuits in a missiles guidance and sensor systems. As opposed to destroying the target the EMP pulse simply disables the missile causing it to harmlessly drop out of the sky without arming or detonating. EMP Weapons were first conceived of during the nuclear tests of the sixties. High-altitude EMP (or HEMP) weapons require a nuclear detonation several kilometers above the target area and the resulting EMP pulse can destroy all electrical and electronic devices within tens of miles in all directions. In contrast to this indiscriminate wide area offensive technology, LEMP technology is a highly precise, completely defensive technology that produces a small localized EMP effect at long range. LEMP technology is non-lethal to humans and has limited effect on larger manned aircraft with multiple redundant systems and significant shielding. The only real potential targets for this technology are relatively small lightweight fast-moving airborne vehicles that are completely reliant on the advanced sensor, and guidance electronics…..in other words the current dominant warfare technologies in Guided Missiles and UAV. Laser powered EMP technology promises to be the first truly effective and practical anti-missile device that disables the missile in flight causing it to drop harmlessly out of the sky. 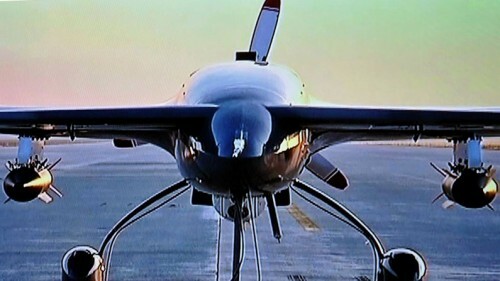 LEMP technology offers a potential range of several miles or more from a relatively small and affordable platform ($1-2 million per unit) that could be easily mounted on the fuselage of most military and commercial aircraft. The research project at Lightning Gun is still at an early stage, but it is hoped that the technology can be scaled up and fully proven within the next 3-4 years (hopefully before the next generation of longer range MANPADS emerge). LEMP technology has the very real potential to neutralize both guided missile and UAV threats thereby making all aircraft travel much safer. This non-lethal defensive weapons technology could be the next military game-changer that the aerospace industry has been looking for. From an interview with Dr. Adam Weigold, CEO of Lightning Gun Inc.